Hey guys, it’s been a while since I’ve updated the blog due to going full tilt with content creation on my reinvigorated YouTube Channel, so this is a post from a trip to Chicago I did last November where I wanted to share my top 5 instagram spots in Chicago. Calder’s Flamingo or Flamingo as it’s often referred to by locals and tourists alike is a 53 foot tall sculpture located in the Federal Plaza area of Chicago. I was drawn to this location and wanted to shoot it as it offers great contrast against the tall symmetrical buildings that surround it. Also at night it really stands out in the dark! This is a bit of a strange location. I first saw this pop up on Instagram and knew I had to figure out where it was and go shoot it. The location is on the upper levels of a car park located on North Clark street, which runs parallel to the train track that runs through the loop. To get the shot you have to squeeze out of a small gap in the side of the building and have nerves of steel to hold your camera out knowing if you drop it, you’re probably facing a huge lawsuit! If you’re careful it’s definitely worth checking out.. 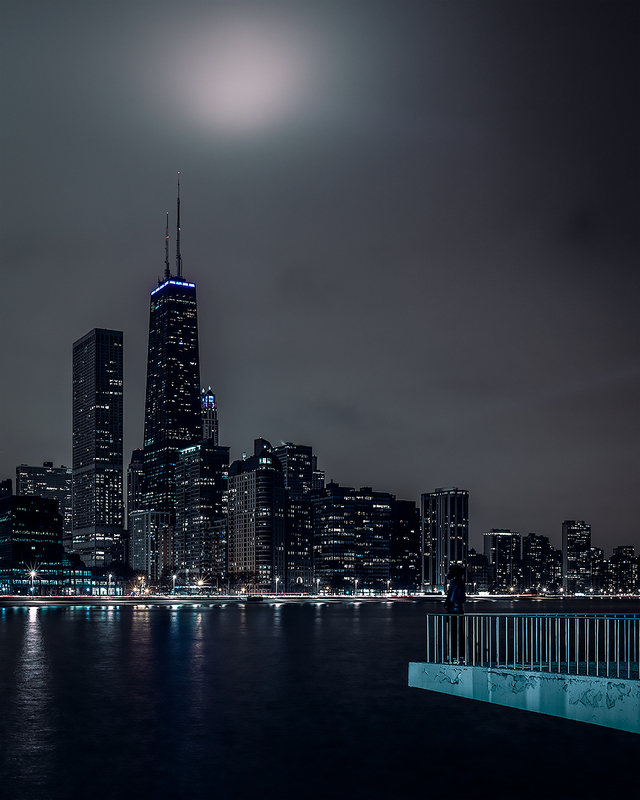 If you want to get a banger of a shot of Chicago’s city skyline then you can’t go far wrong shooting from the lookout located in the park on North Lake Shore Drive. Inside the park there’s a cool spot where you can post up and shoot great images of the skyline without making the trek out to the more popular North Avenue Beach. Another fantastic location and probably my second favourite instagram location (it’s popular for a reason!) is the Wells Kinzie Garage. A parking garage like the North Clark spot, the Wells Kinzie garage allows you to set up and shoot images of the metro trains on the loop. The cool thing about this location is that you’re elevated above the trains offering a unique perspective. 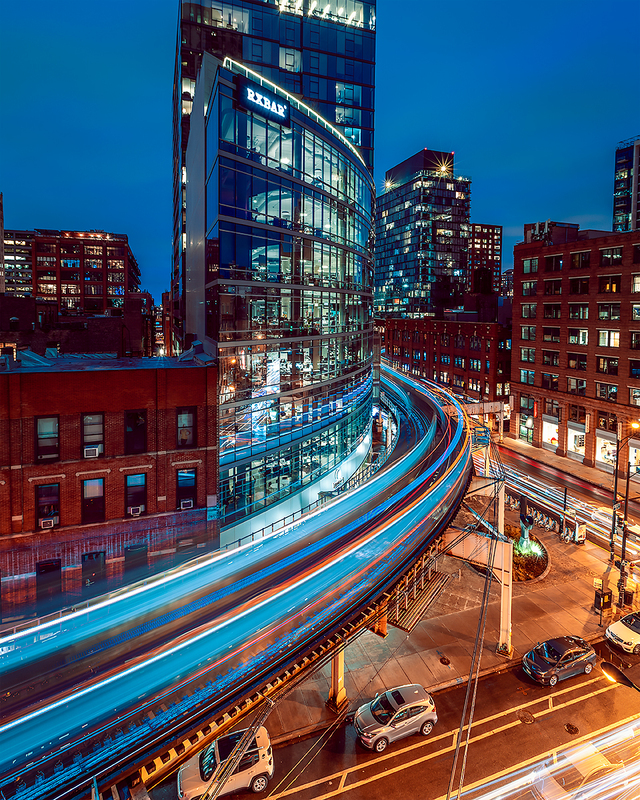 It’s much easier to shoot here than the North Clark spot and you can get awesome long exposures at night as the trains snake their way through the buildings! You didn’t think I’d forgotten about this one did you?! Probably the most instagrammed spot in the whole of Chicago is the classic image of the famous Chicago Theatre. As you’d expect it gets pretty busy around here so get there early in the morning or later at night if you want to avoid the crowds. And of course don’t forget a tripod if you want to get the classic long exposure shot of this epic location! So there you have it, my top 5 popular Instagram spots in Chicago! We only spent five days in Chicago so we had to hit these classic spots, Chicago definitely has so much more to offer in terms of photography, it really is a gem of a city to take photos in and I can’t wait to go back to explore some more. You can also check out more shots I got from the trip on my Instagram page @craigpittsphoto.